Survival Armor’s Exclusive package deal. Offering HSG’s Duty line of TACOs® pouches for SWAT and Tactical units. 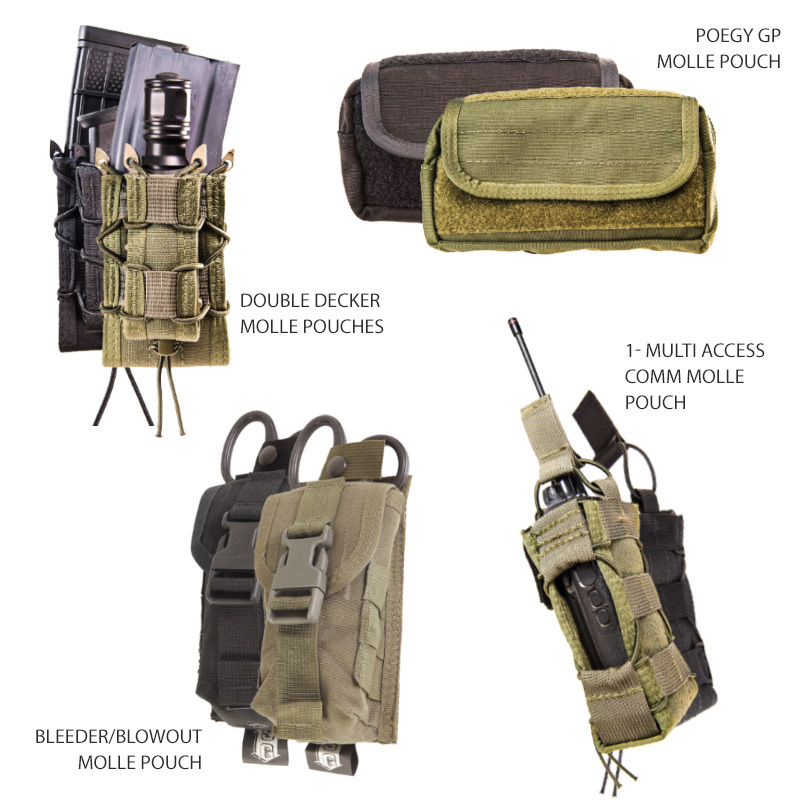 Includes: TWO – Double Decker TACO® MOLLE Pouches and ONE each of the Bleeder/Blowout MOLLE Pouch, POGEY GP MOLLE Pouch and the Multi-Access COMM TACO® MOLLE Pouch. Special Value Package only from Survival Armor. Medical shears are held securely by strap and snap in separate compartment.